With the help of OSHA, businesses have made tremendous progress in worker safety since the start of the Industrial Age. Basic elements of OSHA safety programs include efforts to eliminate inherent safety risks in the workplace and train workers to operate safely. AFC Management Services’ approach to OSHA safety offers enhanced efforts that focus on several areas for further improvement. 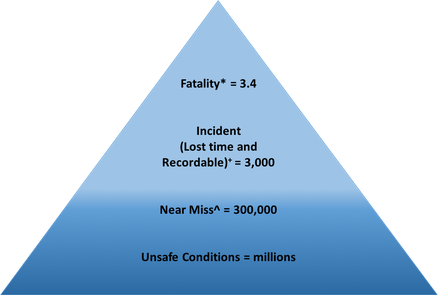 The frequency of safety concerns in an organization typically looks like an iceberg, with few deadly and highly visible accidents, but many near misses and unsafe conditions below the surface. Consider these 2015 numbers from the Bureau of Labor Statistics. It’s logical that identifying and correcting unsafe conditions and near misses will help prevent incidents and fatalities. Organizations with good safety management programs have processes for investigating incidents and acting on their findings. Organizations with the best safety management extend those processes to identify and investigate unsafe conditions and near misses. For example, if a worker trips over a ridge in the floor but catches her balance before being injured, it is not a recordable incident. The worker might laugh at herself in embarrassment, but the next day someone else may trip and fall and break a wrist. However, if the tripping hazard is reported and the ridge is removed, no one will trip and fall. When an incident or near miss occurs, “human error” is often identified as a primary contributor. The employees involved are trained or retrained so they won’t make the same mistake again. However, this might deal with just the surface cause of the incident and not address underlying issues. AFC instructors provide the latest information and methods for managing a program that considers broad and deep aspects of employee safety and health. The best safety management programs use process improvement tools to investigate the situation. Root cause analysis digs deeper to find underlying causes. 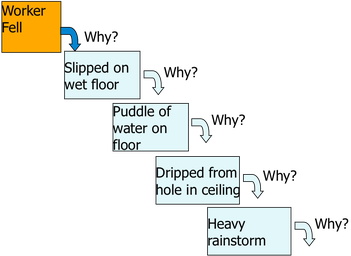 In this example of a slip on a wet floor, typically the worker would be told to be more careful and the water on the floor would be mopped up. However, using the Five Whys method, underlying causes are discovered that explain how the unsafe environmental condition was created. While nothing can be done about the weather, the hole that is discovered in the ceiling can be repaired to prevent water from dripping onto the floor. In addition to root cause analysis, the best safety programs use project management tools to ensure that unsafe situations that are identified are corrected. This starts with a basic system that assigns and tracks responsibility for “who will do what by when?” to complete identified actions. Situations with safety incidents and unsafe conditions are checked at a designated future time to as3-sure the corrections have been effective and there are no recurrences. 3 - What is the Best Approach to Guarantee Success? The CDC’s 2012 NIOSH study of research related to total worker health reported that programs focused on stress and on multi-component worker health programs (e.g. exercise, nutrition, smoking cessation) had a favorable impact on accident levels as well as other health and organizational results. Based on this evidence, they recommend an integration of Occupational Safety and Health (OSH) and Worksite Health Promotion (WHP). The manufacturer, Dow Chemical, has a goal of eliminating all injuries and has long been a leader in safety management. In 1985, Dow Chemical instituted the health promotion initiative, “Up With Life,” as part of continuing work toward their goal. 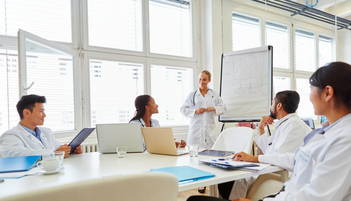 Their findings that health program participants incur 15 to 21 percent lower medical costs than non-participants present a convincing case that on-the-job wellness programs are good not only for individual workers, but also for the organization’s bottom line. It makes sense that a healthy, well-rested, fit, unstressed individual is less likely to have an accident than a colleague who is unhealthy, fatigued, overweight, and stressed. If an accident does occur, the healthier individual is also likely to have a faster, more complete recovery than someone who is not as healthy. In working with numerous organizations, AFC Management’s Training Professionals have developed proven methods of providing valuable education around OSHA technical and operational requirements along with the wellness component of structuring a worksite health component that meets individuals’ varied needs. You can use this two-prong approach as an excellent foundation for establishing a best-in-class safety program. At top levels, business and operations managers are often compensated for productivity and profit. This cascades within the organization, sometimes prompting workers to take potentially unsafe shortcuts to get the job done on time and on budget. Unsafe workarounds might even become common practice included in job training. However, if consistent top-down values make it clear that safety is the number one priority, even when productivity and cost take short-term hits, workers and middle managers will be more comfortable identifying situations that must be fixed before production can continue safely. After identification, follow-up actions to correct unsafe situations must, of course, be completed. Many companies use a metric of the number of hours without a lost-time incident as a measure of their safety performance. While this can be helpful to analyze aggregate information over time or do benchmarking with other organizations, it can cause some dysfunctional behaviors. Imagine that a worker cuts his finger on a machine quite severely on the very day that his department is planning to celebrate one year without a lost-time incident. Perceived management and peer pressure could cause him to hide the incident to avoid ending the “safe string,” and he might end up with a severe infection, ultimately causing loss of the finger. Ensuring that any safety metrics are part of an overall common sense approach that encourages incident reporting as part of the organization’s values can prevent these dysfunctional behaviors. If you already have a good safety management program, expand your use of these four critical elements to make your safety program one of the best…and make your workers some of the safest. 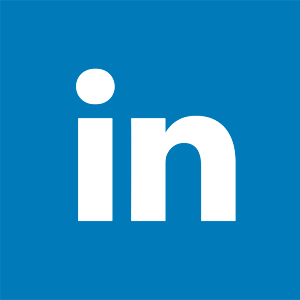 Want to know how to get started? Contact AFC Management at 866-659-3400 ext. 7 or e-mail Fran Bishop at franb@afmsco.com for help within YOUR organization to address OSHA training and create a high-functioning, SAFE operation.